► Das 41. 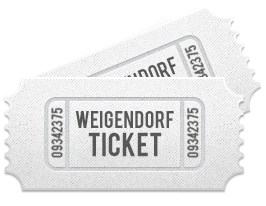 Open-Air Weigendorf am 19. & 20.07.2019 - sei dabei! Four young talents from south-east Germany are mixing things up in the music scene, already comparing themselves to giants like Papa Roach, Billy Talent and My Chemical Romance. They signed with Monster Artists Management in January 2017 and are ready to conquer the stage in Germany and beyond. In 2016 they performed at over 30 concerts in and outside of their hometown of Passau, developing their unique style along the way. It’s not just their individual sound that makes them shine, but their stage presence and energetic performances. Successfully combining electronic elements of heavier genres with those of bands like Bullet For My Valentine, they defy classification to create their own refreshing style. LONELY SPRING sing about hope and dreams, and being lost in the mental abyss. Their acute perception of the human condition comes from observation and experience: from one track to the next, the listener finds it harder to bear the weight of their own emotions. These four high flyers are on the way up – they never look back, but haven’t lost sight of who they are. Nobody can stand in their way. 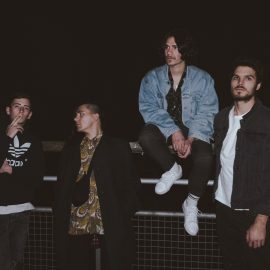 From Passau to Munich, Cologne or Austria – despite their young age, LONELY SPRING haven’t stopped moving, sharing the stage with bands like Emil Bulls and Crazy Town. They’re working flat out; come autumn they’ll be releasing their long-awaited debut album. You’ll be hearing a lot more about these young prodigies of the emo rock scene.